Once again, we're gonna revisit a bourbon that hasn't been the BOTM in a while. I have a few reasons to revisit this one. It hasn't been the BOTM in over 11 years. There's been some discussion of it here on the site lately. And, I also just bought a bottle. I just had to throw that last one in. It's been a long time since I've had a bottle of RHF. One reason is because I haven't seen any around in ages. It started showing up again, so I figured I'd buy a bottle. I'm glad I did, even though the price is about $20.00 more than the last one I bought. Since I have a bottle, and since I opened it Saturday, I do have some tasting notes this time. Legs: A little thin, but evenly spaced and fairly slow down the glass. Nose: It took me a while to figure the nose out. It kinda reminds me of a nutty, nougaty candy bar like a PayDay or a Baby Ruth, with brown sugar and a little spice thrown in. I have to add another opinion on the nose here. As I was trying to figure out the nose on this one, my wife asked me if I wanted her to give it a try. I figured why not. Even though she doesn't drink bourbon, she's got a good nose. There's been a number of times in the past where she's been able to nail down a scent in a bourbon that for whatever reason, I just couldn't put my finger on. She nosed my glen cairn and said it smelled like Maple Nut Goodies. Hmmmmm. I can actually see, or rather smell, how she got that. Flavor: Where to begin? There's a lot going on with RHF, but in a very good way. It's a little sweet on entry. To me it's brown sugar and slightly burnt cookie. This is immediately followed in mid-palate by the nuttiness that was present in the nose. A little "oak and smoke" also shows up here, as does a nice warming effect. The finish warms a bit more, with a hint of spice (allspice?) in the background. The finish is medium to medium long, and is one that tells you that you probably should have another pour. All in all, and IMHO, RHF is a great bourbon. There's a viscous, chewy, richness that is reminiscent of some older/glut bourbons from back in the day. She's a good un' for sure. Okay, I reckon I've said enough. It's y'alls turn. 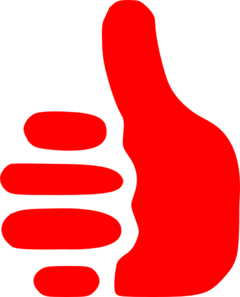 Lets hear what you have to say about Rock Hill Farms. I finished my bottle of this -- which was bought in 2015 -- about a month ago, and haven't seen another one around to replace it so far. It was rather sweet, fruity, and juicy, interestingly with no oak whatsoever. The taste reminded me a lot of gummi bears! Excellent bourbon overall. BTW. I find it very amusing how this one used to be the vastly more reputable bourbon compared to Blanton's only a few years ago, and then Blanton's suddenly achieved unicorn status, and now RHF seems to be all the rage once again. I love this stuff. Working on a bottle with 2 more bunkered and looking for more. I agree with the sweet, juicy, creamy mouth feel with a mutee but pleasant finish. It is always a first pour for me. Agree about the blantons/ rhf. Same mash bill, rhf is older and higher proof. I see blantons more frequently, but pass on it if its over 60. I'll buy RHF at 80. I'll feel kinda bad about it, but I'll pay it. I hadnt ever tried RHF till relatively recently and it's jumped up near the top of my favorites and have been trying to keep one open and two bunkered at all times. It is, oddly, not super hard for me to find while CA gets nothing else. The first time I tasted it I had an overwhelming taste of candied green apple, if you sprinkled fresh cracked black pepper on that candy layer. Having been able to find it at 40 bucks recently it would easily be my top choice at this price point. Regarding the nose, for those of you who cook with a smoker, I smell the moment you throw soaked apple chips on the heat; before the smoke begins, the sweet woody steam. Man damn. RHF for $40, I'd be all over that. I have to go to Georgia to find bottles. Great pick (and notes), Joe. For the most part, RHF has been a ghost the past couple of years. I always found it to be a bit less refined than Blanton's, but preferred it due to the reasons mentioned above in your review (as well as the fact that it was selling in the upper 30's to low 40's). I also find it less consistent than Blanton's (obviously due it being a SB). But when it's on, it's really on. The biggest problem I have with it currently is that it's no longer the cheaper option of the two. So, in a strictly two horse race, my money is on Blanton's....at least for now. I've never seen a bottle of this in Virginia, but I did get a bottle in Maryland a few months back. I really enjoy this one and think of it as a nicer version of Blanton's. Haven't had one open in quite some time though I've been building up my stock. I think I have 6 or so in the bunker. Because it's hard to find I tend to put it in the "open one later" category which means I keep putting it off. From memory, I recall liking this one better than both ETL and Blanton's. I suppose it's time to scrounge one up from the bunker. Unless it is sub 40, ETL is a pass for me. Try RHF is superior to my taste, by a faie measure. If I can find one, I will buy it. It sounds excellent (and the old RHF is my #1 all-time favorite bourbon). Good timing with this one! Less than a month ago, I bought the only bottle I've ever seen in Montana. Paid more than I would've liked (probably more than I should've), but its one that I've been chasing for some time so I was able to justify it. I did sample it at a local whiskey bar a few weeks before stumbling upon the lone bottle in the wild, and from what I recall (without looking them up), my notes were very similar to Fishnbowljoe's. Delightfully complex on the tongue and great mouthfeel. I have yet to open the one I found, but given its WOTM status, I guess that will have to be remedied soon! Thanks for picking this, Joe! I was curious about this one. 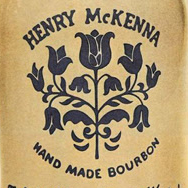 (Being quite new to Bourbon, I'm curious about a lot) Saw a bottle a few weeks ago, had it in my hand, but put it back. Went back a few days later and saw it still on the shelf. Nahhhhh. Kept obsessing, went back again and pulled the trigger. Glad I did. Only had a few pours from the bottle so far, but it sure has agreed with me! Now I'm on the prowl. May the odds be ever in my favor! Or something. I'm getting to the point where I think I'll just have "He loved Mash Bill #2" on my tombstone. From Hancock's Presidential Reserve, to ETL, to Blanton's to RHF there's not a single one of them I don't like. I recently acquired my first bottle of RHF and I am extremely glad I did. Of course it reminds me of Blanton's but with those few extra proof points it seems to be just a bit more flavorful. Joe stole exactly what I was going to say so I'll just let his tasting notes stand. I agree with Paddy's assessment that RHF is a little less refined than Blantons. I get a bit of a grassy note out of RHF, maybe it's just a really muted oak note. In any event, I also agree with CardsandBourbon, I'm a sucker for BT mash #2. I always have a bottle of RHF open (and Blantons, and ETL, and HPR as soon as I finish off a few bottles to make room for this one). It's been a while since I had a pour so it seemed to be the right thing to do! It's really hitting the spot, I have always said I like Blanton's more but it might be due to the fact that the only Blanton's I have had were either bottled in 2013 or earlier or they were store picks as I perceive them to be older tasting than the RHF I have had which have all been in the last 2 or 3 years. Either way Cheers certainly glad to be drinking this at the moment! Tried this one in a bar recently and really liked it. Still looking for one in a store, but we don't get very many of them in Texas. Where I got my last bottles of RHF they were priced exactly the same as Blanton's at $56.99 + tax. Same store prices ETL (when they have it) at $37.99. I passed on some RHF at $62. If my memory is correct the 3 of them always used to be priced about $10 apart..ETL was $25, RHF was $35, and Blanton's was $45. Odd. RHF is older (i believe) and a higher proof. 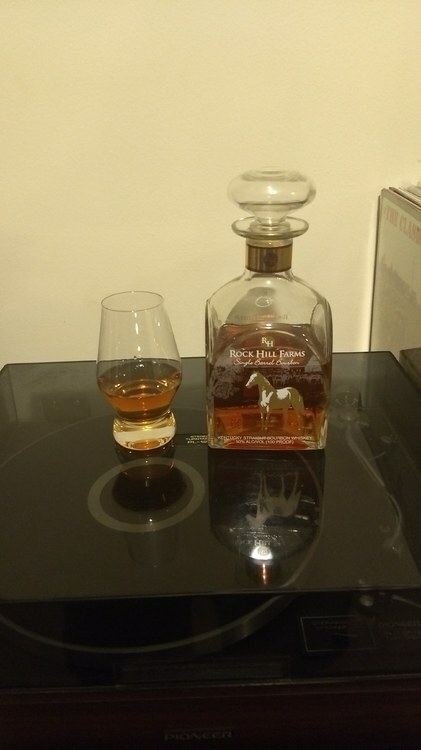 RHF is one of my favorite bourbons, but as others have noted, it has been almost impossible to find, at least in Ky, for the past couple of years. If I ever see a bottle, I buy it immediately. Prefer it over Blanton's for the reasons others have noted: higher proof, a little less refined than Blanton's, but a unique taste profile that I really enjoy. Would buy a case or two of this if I could only find some. RHF is clearly higher proof, but I believe there is some debate regarding which is older...Blanton's or RHF. I got the age thing from an old Jason Pyle video. RHF seems more viscous to me. I realized that I may have been a bit hasty with my comment above since this is the first time I've tried RHF. I still think I like Blanton's just a bit better than RHF, but one pour may not be a fair comparison, so I'll revisit and perhaps do a SBS at some point. Of course, as we all know, single barrel bourbons can be a bit different from barrel to barrel, so I'm sure it could go either way sometimes between RHF and Blanton's. They are both BT mashbill #2 of similar age. RHF clearly has the proof advantage. I also believe Blanton's is a bit older, but there are clearly differences of opinion regarding that point. So if you haven't tried RHF before, then paying up to Blanton's prices may be worth it. I know the two bottles of RHF that I have were closer to $50 a year ago while Blanton's is usually closer to $60 in my area. They are both good bourbons so Cheers! Kindly please stop talking about this bourbon. It is terrible, overpriced stuff that you should leave on a shelf. 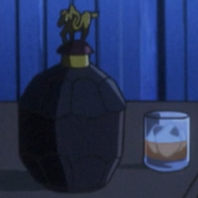 Sidenote: if anyone has bottles they don't want I will fall on that grenade and take them off your hands. On more serious notes, this is my favorite #2 mash bill bourbon that BT produces.